Christian Stewardship is understanding that everything around us and all that we have comes from God, so we give of our time, talents, and financial resources to see that God’s creation is cared for accordingly. Looking to help us out? Seeking singers of all ages and experience levels. Practice on Wednesdays at 7:30 PM (except during our break in June) in the Sanctuary. We would love to have you! Seeking additional people to visit the homebound and those in nursing homes. Scheduled groups go on Tuesday morning at 10 AM, but unscheduled visits are also encouraged. Maps and addresses are in the Caring & Calling mailbox, or contact the church office for more information. Children's & Adult -- Please step up to serve in this area. Various days/times available. We need to allow "our regulars" an opportunity to "feed themselves" as well. County Line keeps an ongoing donation barrel for MUST Ministries. Non-perishable food items are always welcome. Currently collecting household items, clothing, school supplies, etc. for the Red Bird Mission in Appalachia. Monetary donations are also accepted. Contact the church office or see Celia Jernigan for more info. Seeking donations of any kind for Children's Ministries programs and events. 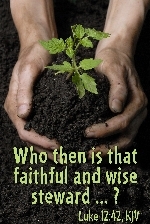 https://www.umcdiscipleship.org/leadership-resources/stewardship is the website for the "Center for Christian Stewardship of the United Methodist Church". You can explore this site for insightful books, prayers, contemplations, and more information about stewardship and giving back to the world community. Donate Now Donate Now Need some help using Online Giving? Help assist persons in our local community with their living expenses. Help families keep their children enrolled in the loving, Christian environment found in the Mothers Morning Out and Preschool programs. Help offset the annual cost of sending a County Line Church team to this mission site in Appalachia.